Is your toothbrush a genius? Now there's a reason to take your phone into the bathroom! Check out the new Oral B Genius Toothbrushing System. Designed to help you brush like Dr. Prose recommends, the Genius 8000 seamlessly connects with the Oral-B smartphone app via Bluetooth technology to provide you with customized real-time feedback about your brushing habits, including our highly advanced Position Detection technology that ensures you never miss a zone. 1 Travel Case, 1 Smartphone Holder, ProHealth Advanced Mouthwash, Superfloss, and ProHealth Toothpaste. If you are interested in purchasing a kit please ask at your next visit. We know that summertime can be a very busy time for parents and kids. Here are some brace friendly recipes to help out at the end of the day. Preheat oven to 350 degrees. Place the cooked chicken pieces in a large bowl. Sprinkle the taco seasoning over the chicken and mix. Then add the cheese & onions and blend well to make the filling. Roll up the chicken filling in the tortillas and place tortillas in a glass baking dish that has been brushed with oil. Cover with foil and bake for about 20 to 25 minutes. Remove from oven. Top the baked tacos with the lettuce, tomatoes, cucumbers, taco sauce and sour cream. Directions:Break each corn cob in half and slice the corn kernels off the cob by standing them on their ends and cutting downwards. Melt the butter in a large frying pan over medium heat, adding the chili powder and cumin while it melts to activate their flavor. Add the corn kernels and reduce heat to low, stirring occasionally. Saute for 3 to 5 minutes over low heat, adding the chopped cilantro, lime juice, and sea salt towards the end. In the last few moments, add in the crumbled cotija and stir just to incorporate. Remove from heat. Serve sprinkled with extra cotija, fresh cilantro leaves, a few dashes of chili powder, and fresh lime slices. Place all ingredients in a blender and mix for about 1 minute or until smooth and serve immediately. 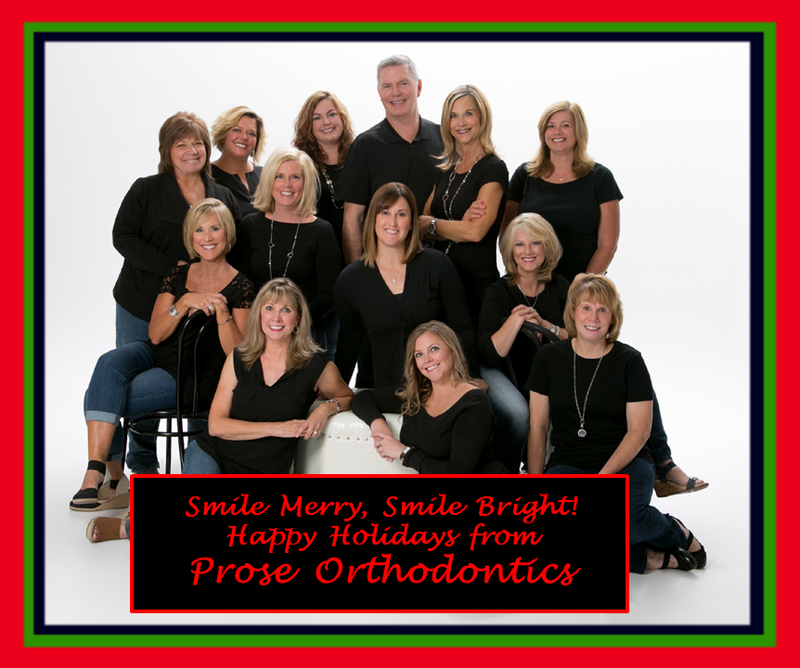 Everyone at Prose Orthodontics wishes you and your family a wonderful summer! Braces aren't just for teenagers! Please call our office to schedule your complimentary consultation at 630.584.6555.